17 pure pharmaceutical grade USP-FCC* vitamins, all highly soluble and completely assimilated in fast acting capsules. 9 fully reacted (chelated) minerals, called aminomins. 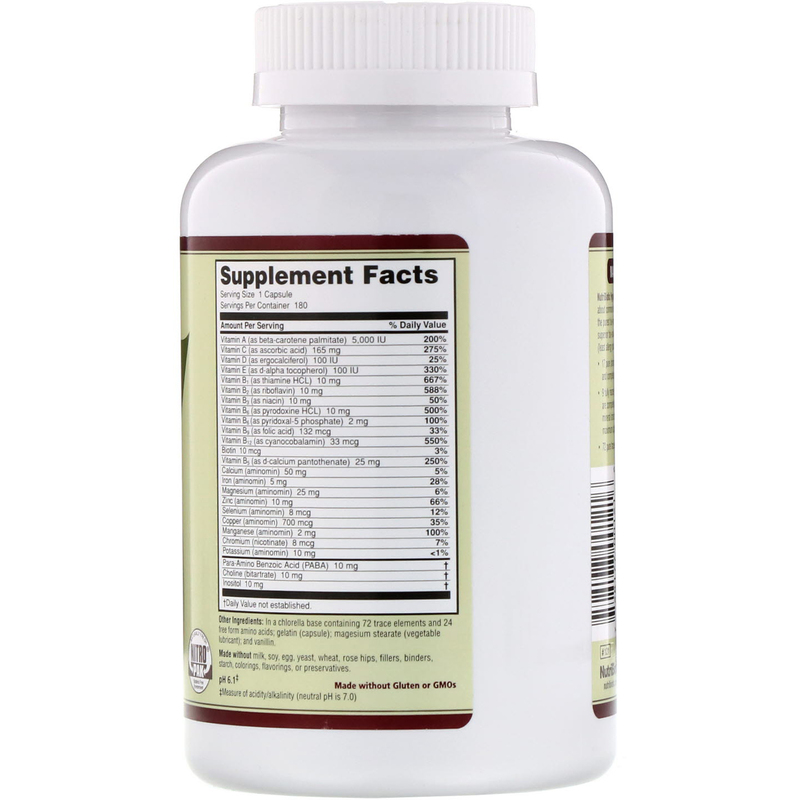 These minerals are completely bonded with citrates and aspartates. This chelated mineral structure is then bound to a rice protein complex providing maximum uptake (bio-availability) and absorption. 72 pure trace elements derived from ocean source montmorillonite. 24 free form amino acids for added assimilation and nourishment. 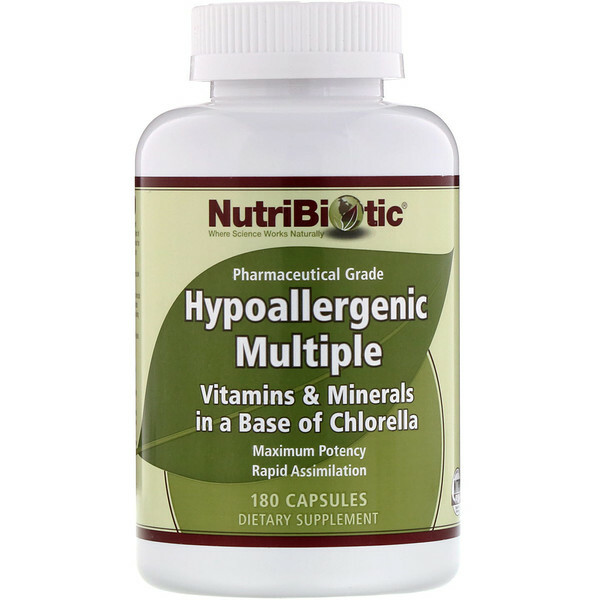 In a synergistic base of chlorella; a highly nutritive fresh water phytoplankton. ‡Measured of acidity/alkalinity (neutral pH is 7.0). Adults, take one capsule daily with food. In a chlorella base containing 72 trace elements and 24 free form amino acids; gelatin (capsule); magnesium stearate (vegetable lubricant); and vanillin. Caution: Due to the fast acting nature of this formula, we strongly urge that food always be ingested with this product.